Singapore Airlines (SIA) is re-jigging routes between its low-cost subsidiary Scoot, which took over TigerAir, and its regional subsidiary SilkAir, as the latter mergers into it. A number of destinations in India are affected. 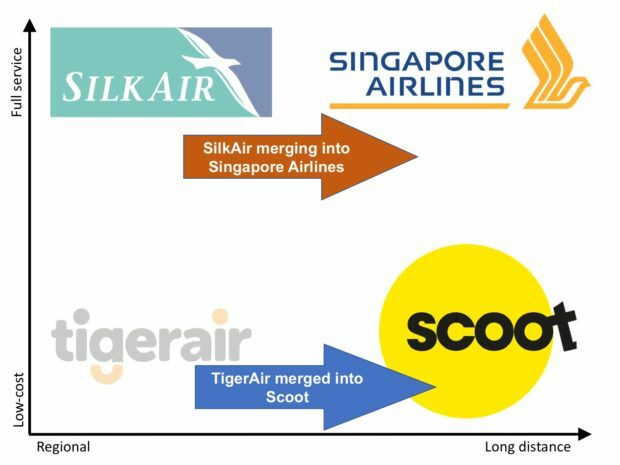 Between April 2019 and end 2020, Scoot will take over some of SilkAir’s routes over the next two years, and also transfer some routes or services to SilkAir or its parent Singapore Airlines (SIA). Coimbatore, Thiruvanthapuram, and Visakhapatnam will be transferred from SilkAir to low-cost Scoot. Scoot will exit Bangalore and Chennai which will be serviced exclusively by SIA. Kochi will be serviced exclusively by SilkAir and after its merger by SIA. The regional subsidiary of Singapore Airlines, SilkAir, is upgrading its cabins as it mergers with its parent. SilkAir operates an all narrow-body fleet, while Singapore Airlines is exclusively wide-body. The merger will provide fleet flexibility to the island nation’s flag carrier. To ensure a common customer experience across its common brand, the SilkAir fleet is moving to the Boeing 737 MAX 8 and is embarking on a $100 million cabin upgrade programme. 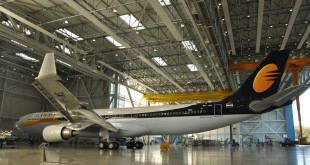 The business class will feature full-flat seats and the in-flight entertainment system in both business and economy classes will be upgraded. The long-lead times by seat suppliers is pushing the upgrade beyond 2020 and consequently delaying the merger. Subject to government and regulatory approvals the changes planned are detailed below. In addition, SilkAir will be converting its Mandalay route to a seasonal service. Existing services will end in March 2019 and will resume in November 2019, continuing until January 2020. Scoot will meanwhile be suspending services to Honolulu with effect from June 2019 as a result of weak demand. Dates are indicative as a result of required regulatory approvals. Customers with existing bookings will be provided the option to switch to the new Scoot, SIA or SilkAir flights where possible, or be provided refunds. “We are now at the half-way mark in our three-year Transformation Programme, and today’s announcement represents another significant development. 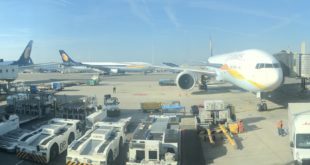 The route review will strengthen the SIA Group for the long term, with the right vehicles in our portfolio of airlines deployed to the right markets,” said SIA CEO, Mr Goh Choon Phong. SIA announced in May that its regional wing SilkAir is to undergo a significant investment programme to upgrade its cabin products ahead of its eventual merger into SIA. The programme will see SilkAir’s cabins fitted with new lie-flat seats in Business Class, and the installation of seat-back in-flight entertainment systems in both Business Class and Economy Class. The investments will ensure closer product and service consistency across the SIA Group’s full-service network. Low-cost subsidiary Scoot’s fleet will meanwhile be expanded with the transfer of 14 Boeing 737-800s from SilkAir, while SilkAir will continue growing its operations in the years ahead as it takes delivery of new Boeing 737 MAX 8 aircraft.